Sebo-LINK provides wireless and hands-free communication between the hearing instruments and other audio devices, allowing the hearing instruments to work like wireless headphones. Using a cell phone with hearing aids can be difficult for many people, especially when in an environment with background noise. Sebo-LINK provides a much improved listening capability by enabling the user to hear the phone through both ears at the same time. 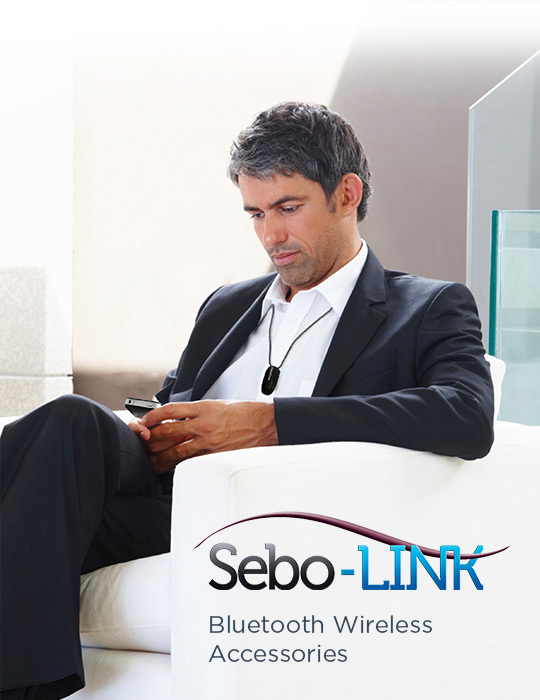 Sebo-LINK receives the phone signal from your cell phone and sends it directly to your choice of one or both ears. A built in microphone will pick up your voice and send it to the cell phone, making it completely hands free.